Hand Building 9/1/2018 2:30 p.m. to 6:30 p.m.
Hand Building 9/7/2018 4 p.m. to 8 p.m.
Glazing 9/8/2018 2:30 p.m. to 6:30 p.m.
Hand Building with Kids 9/14/2018 4 p.m. to 8 p.m.
Slip Ware 9/15/2018 2:30 p.m. to 6:30 p.m. 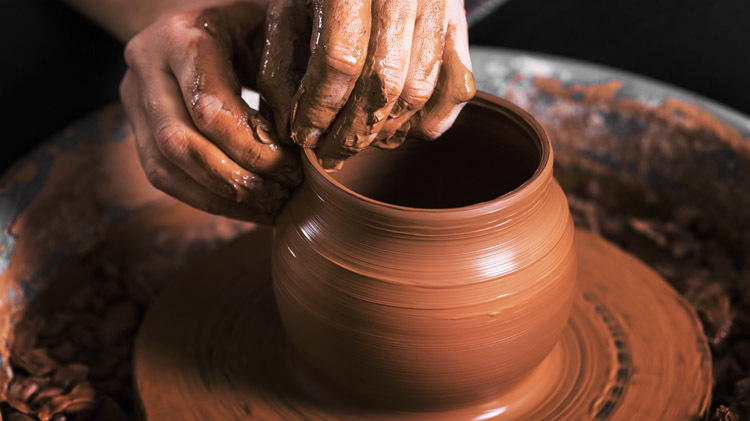 Intro to the Wheel 9/21/2018 4 p.m. to 8 p.m.
Slip Casting 9/22/2018 2:30 p.m. to 6:30 p.m.
Make a Teapot/Teabowls 9/28/2018 4 p.m. to 8 p.m.
Decorations 9/29/2018 2:30 p.m. to 6:30 p.m.
$40.00 per class. Supplies included.